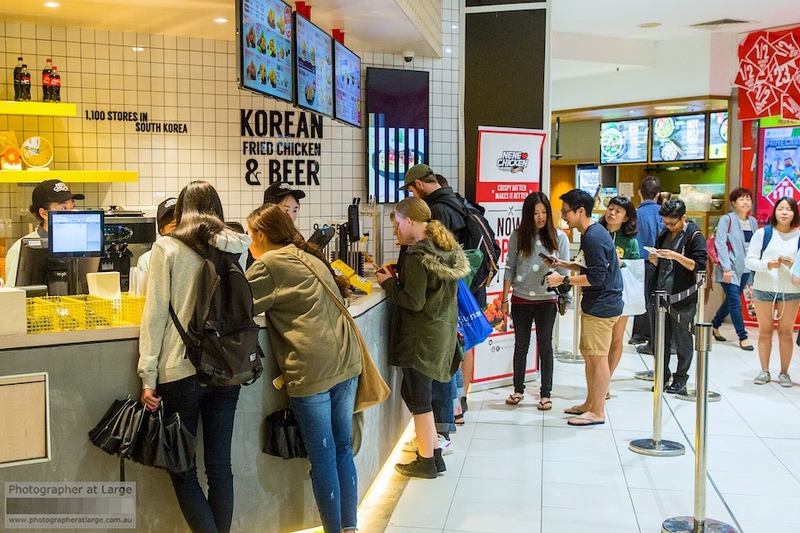 Store Launch Event Photography: NeNe Chicken's first Queensland store has arrived to the Myer Centre Brisbane City and Photographer at Large was there to capture its Grand Opening Store Launch Event! 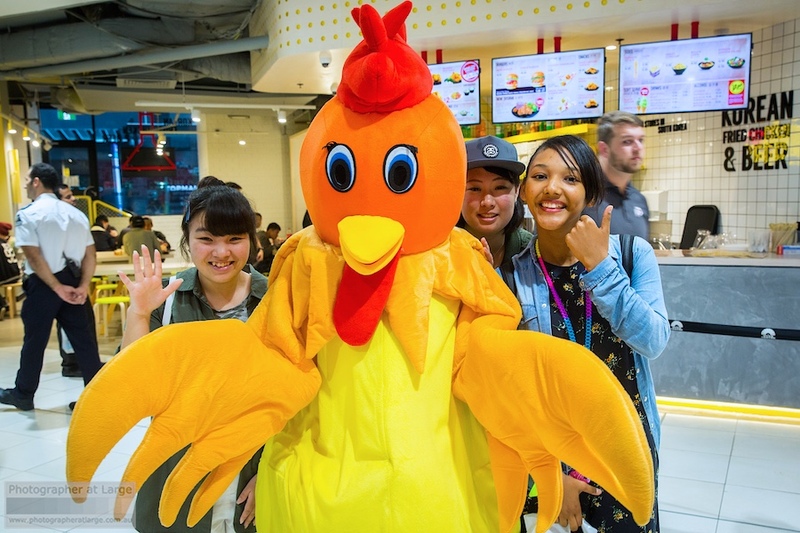 There was lots of excitement, crowds, free chicken and of course, it wouldn't be a special NeNe Chicken Grand Opening without the NeNe Chicken mascot! The name "NeNe" simply means "Yes! Yes! in Korean. 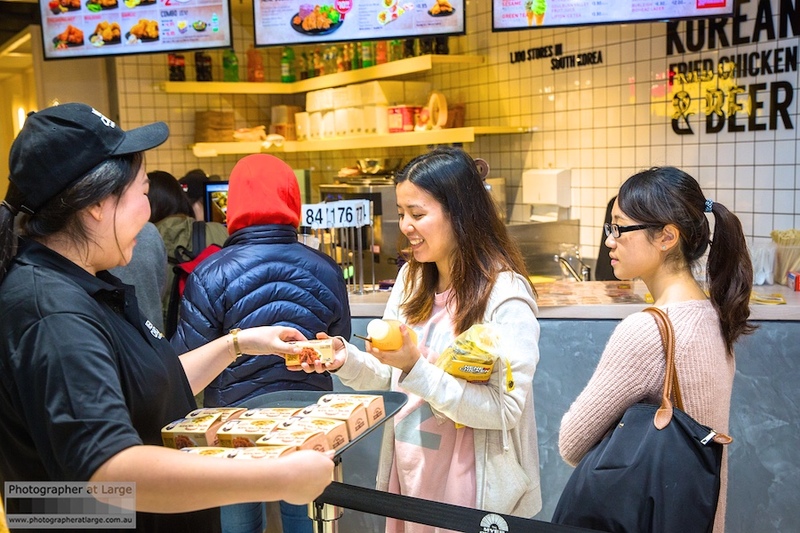 Made to order, NeNe Chicken have a variety of crunchy, juicy fried chicken coated with a mouth watering selection of their secret recipe sauces.